Today is my birthday, and in the tradition of this site – I’ve got an announcement to make. We’ve teamed up with bespoke UK bag makers Frankie Falcon for a second round: firstly, by popular demand, there’s the Mirrorless Bag, which is an improved and smaller version of the Ultimate Daybag Mark I. 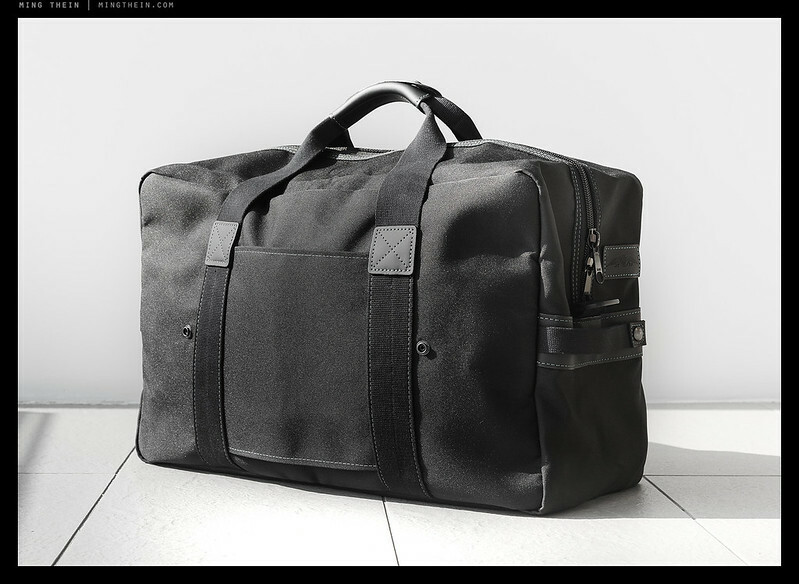 Next, a little surprise: the folding Travel Duffel. We have both bags in stock, and they will be ongoing stock items for the time being. Future additions will go up here, on the Bag Store. We have also resolved prior shipping issues – back to good old Royal Mail. Click on after the jump for more details on each bag. Are there any plans for a padded bag? I like the style, but for the price they should provide better protection with padding. I don’t abuse my gear, but I am not gentle with it and for much of what I do these bags just won’t cut it. I very rarely used any non-padded bag or pack of any kind. Not padding in the conventional sense. The new bags have 3mm neoprene pockets which act as padding; in practice it’s more than enough. I’m not gentle with my gear either, and there have been no issues (I tested the original completely unpadded bag for six months before we released it). You save a huge amount of internal volume by cutting the padding. To accommodate the same amount of hardware with padding, the bag would probably double in size. Hi Ming, Would a D7200 with Sigma 18 – 35 fit comfortably in the Mirror less bag? If nothing else, yes; may be a little tight. It wasn’t designed for this size of camera. Thank you. I’ll see if something in the Think Tank line might work. Hi there, I was wondering if anyone is using the Mirrorless bag with an Fuji X-T2? Trying to figure out the space, and how (if) my various lenses would fit (35 f2, 23 1.4, 18-55). I’m guessing the smaller f2 lenses fit easily into the neoprene pocket, but how about something like the 23 f1.4 or the 56mm f1.2? If anyone could post a couple of pics somewhere, I’d be most grateful! Happy belated birthday, Ming. It is Wednesday, 26 July 2017, and I just received my Mirrorless Bag from the post office. It is surprisingly roomier than I expected—and that’s a great thing for my purposes as it will allow me to add extra photo gear (read that as an extra long lens) and some portable music gear. I would think that new Apple iPad Pro Mini (10.5 inches diagonal) should fit in the original Ultimate Daybag, should it not? Thanks. No, by the numbers, the Pro won’t fit because it’s too long – but I don’t have one to test that theory. Not sure why you’d want to go minimalist on gear but then overload on hardware though! Enjoy the bag! I am replying late here. I was pointing out that the new Apple iPad Pro Mini (10.5 inches diagonally) should fit the original Ultimate Daybag—not the Mirrorless Bag. If the Ultimate Daybag can hold both a 2015 MacBookPro and a regular iPad, it should also contain the new Apple iPad Pro Mini. I realize that is not much help to those who failed to acquire an Ultimate Daybag. My bad – I thought you meant the Mirrorless bag. Yes, it’ll fit the original Ultiamte Daybag no problem. Hi Ming, received the mirrorless bag very fast on July 21st…; -). A very nice bag indeed, cool looks & more spacious than expected. Highly recommendable. That was fast – thank you! Will the Mirrorless Bag fit an OM-D EM-1 mark 1 with 12-40 f2.8 lens, a 40-150 f2.8 lens and still have space for some filters and a polariser? I don’t have a 40-150 here to check, but I think it’ll be a tight fit. Bags look great. Any chance that you all could make the mirrorless bag able to accommodate one of Apple’s new 10″ iPad Pros? The mirrorless bag would have to be almost the size of the original Ultimate Daybag to take a full size iPad – which kinda defeats the point of small. There will probably be a Mark II Ultimate Daybag later in the year though. the stitching on the edges of the 2nd pic (with Lumix) look a trifle erratic; otherwise, love it. 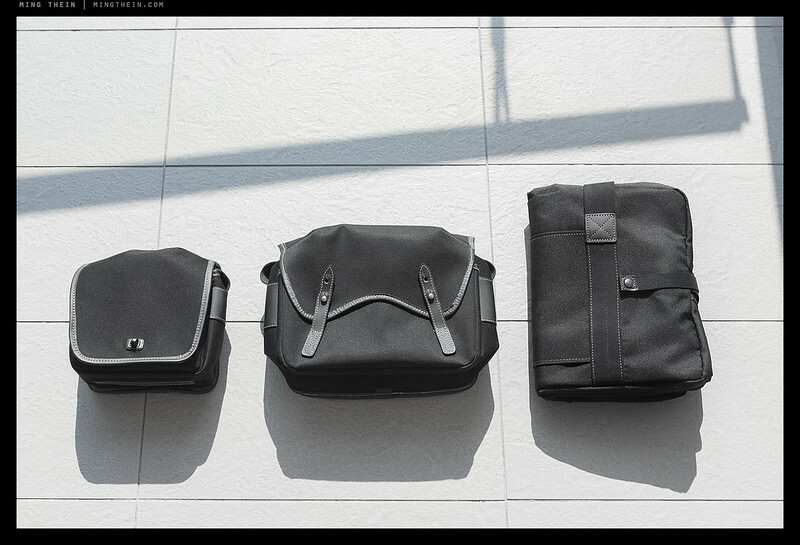 Mirrorless bag looks really nice. Would it hold 2 OM-D E-M10s with lenses attached (one medium sized tele and one wide angle) plus one or two primes and some spare batteries? I think it’d be a tight fit depending on the size of the attached lenses. Not impossible. I think Frankie Faclcon should hire you to update their profile photos!!! Would this bad work to hold D610 plus few lenses? Is there a plan to make the bigger bag available again? Oddly we never talked about that – whenever we meet it’s always about new products! The small bag will hold a D610 and perhaps two medium lenses at most. Big bag – looking into an update; if there is one it’ll be end of the year. Happy Birthday Ming! Much good health, prosperity and happiness in the year ahead. 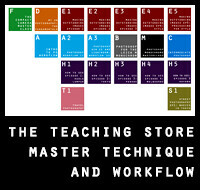 Happy Birthday Ming and many thanks for this most informative and entertaining of blogs. Happy birthday!! w/many more to come. Congratulations on your new function @ Hasselblad! Happy Birthday Ming, wishing you an enjoyable day with family, friends and photographs. Oh, the bags look very nice too – thank you for taking the time to develop them for this community. Happy Birthday!! I see you treated yourself to the 15 1.7… nice 😉 Will we see a little set from the Lumix anytime soon? Maybe some Birthday celebration shots? Have an awesome day! Another year, and long may you prosper. Many Happy Returns of the day, Ming. Enjoy your day Ming! Happy birthday and a lot of happiness! Happy birthday and many happy returns Ming! One extra space – oops! Hello Ming – best wishes on your birthday! I have already placed an order for “your birthday parcel” `:); The mirrorless bag. 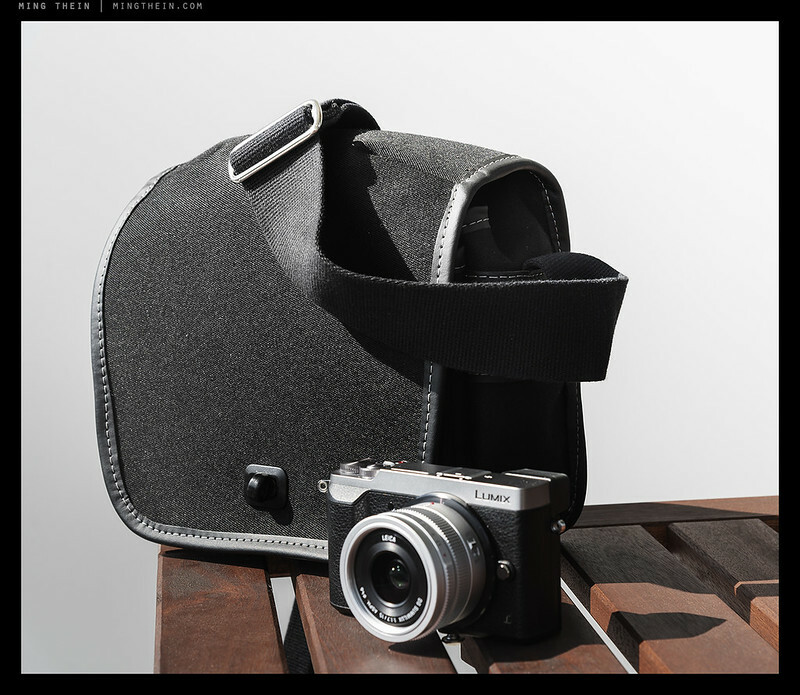 Looks like a great high quality bag – I guess it can be used with a small Dx camera + 2 small lenses as well! Ps…any chance of a daybag mark ll in the future? Thanks! Yes, it’ll fit a small DX just fine with a couple of lenses. Happy birthday Ming and all the best wishes for the year ahead.